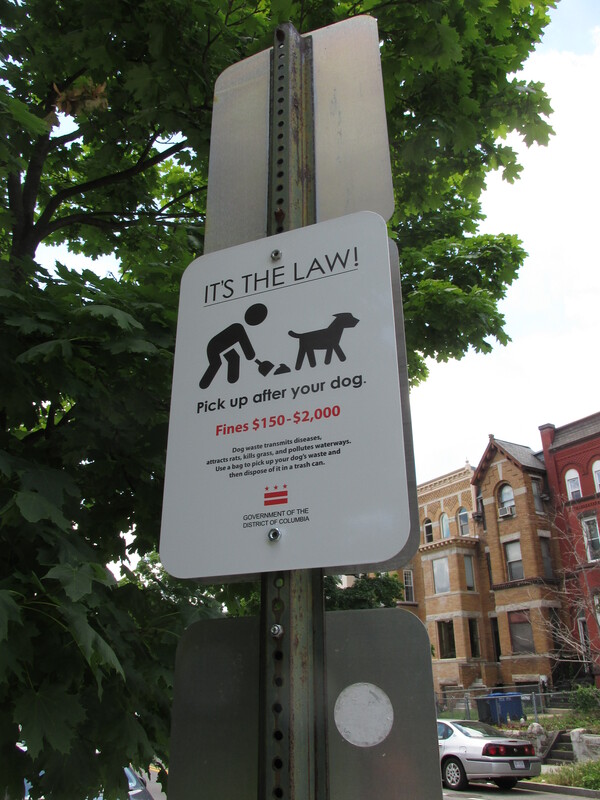 City services | Park View, D.C.
Here’s something new (or at least to me) … I’ve started to see DC Government issued “Pick up after you dog” signs around the area. It was my understanding the District didn’t used to provide these signs. Has anyone else seen this around town? Back in April I posted about SeeClickFix and the ability to report issues needing city attention to the citywide 311 call center through it. What I was most interested in at the time was how effective it might be. Here’s what I’ve found so far. Graffiti requests on public property are taken care of quickly, generally within two or three days. I have had two instances where the ticket was closed without any actual work being done … but was able to have the issue addressed on the second time around. Reported dead trees are marked quickly, also within a day or two. Requests for new trees are acknowledged, but as new trees are not planted until the late fall and winter, it is presumed that it will work well. Sign replacement requests can be on the slow side (several weeks) … but they do tend to happen. My requests to replace signs faded beyond usefulness were fulfilled as were requests to replace missing traffic and street signs. Has anyone else used this service? If so, what has your experience been? What works, what doesn’t work? 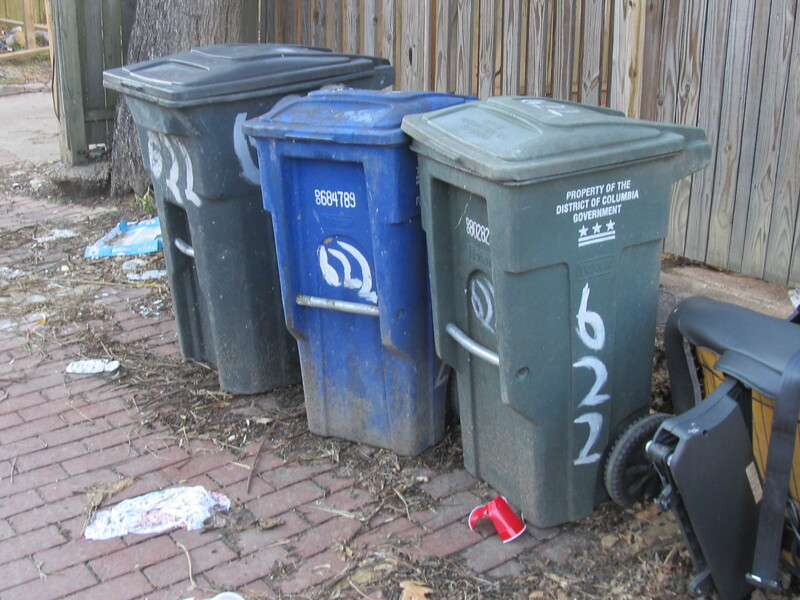 Around 8 a.m. yesterday morning, May 21, Councilmember Graham announced that the Ward One Clean Teams would soon be back in the neighborhoods helping to keep Ward One clean by staying on top of trash in some of our heavily traveled corridors. The program will cover 38 blocks in Ward One. 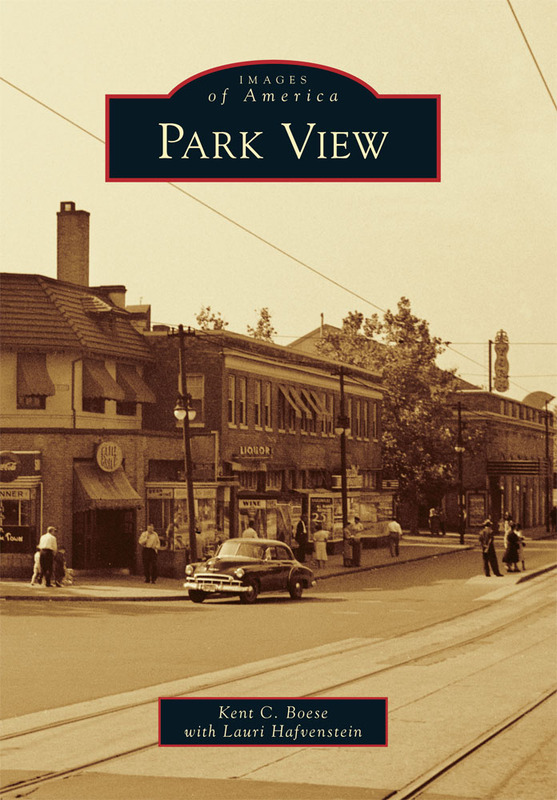 Park View’s section of Georgia Avenue fared well, with 10 blocks — or 26.3% of the blocks in the program — included (the area from Irving to New Hampshire). 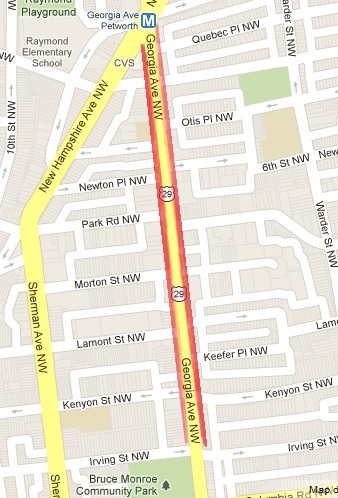 Columbia Heights also has a sizable section of 14th Street included in the program with 11 blocks (30%) starting at Columbia Road and ending at Spring Road. The announcement, however, did not go unnoticed by those that think all of Georgia Avenue needs this kind of attention. This was especially true in Ward 4 where, apparently, only the section of Georgia Avenue north of Decatur Street and ending at Eastern Avenue has a Green Team of sorts. 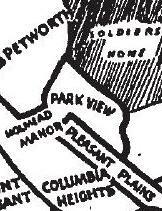 The Petworth section has been seeking a Green Team for the last few years now. I am pleased to announce the Ward One Clean Teams will soon be back in full force in many of our neighborhoods – – covering a total 38 blocks throughout the Ward. I worked hard to get the funding back into place for this important service. I want to thank Mayor Vincent Gray, Chairman Kwame Brown, and Harold Pettigrew, Director of the Department of Small and Local Business Development for their help in re-establishing Clean Teams. We have missed these services – – and value this work in our neighborhoods. We are giving people a chance to rebuild their lives with jobs, while fulfilling this useful purpose. Charlie Whittaker successfully competed for this contract, and again has the supervision of this service. His able services are much appreciated. Reservation 321-A, like most of the District's parks and green spaces, is in need of DGS attention. The start of an early growing season this year seems to have caught the District off guard. 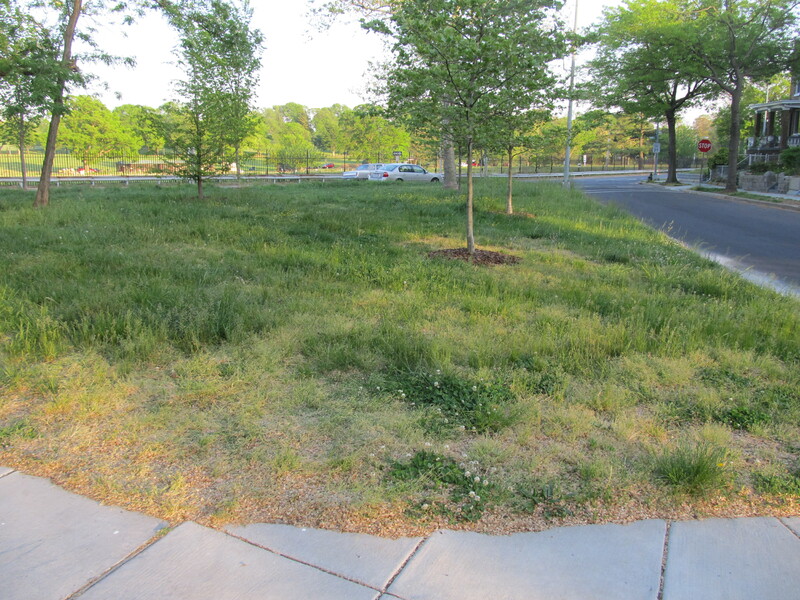 The city’s own grass cutting rules state that any resident who has grass that exceeds more than 10 inches in height, is untended, or creates a dense area of shrubbery that is a detriment to the health, safety and welfare of the public is in violation. Fortunately for most of us, we’re probably not in any danger of violating these rules yet. The 2011 season didn’t begin until May 1, and the same is probably true this year. 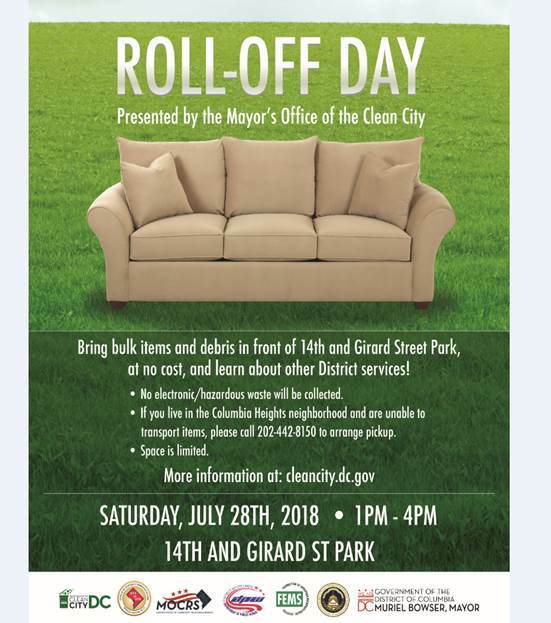 But, while rules for residents may not kick in yet, I think it’s a reasonable expectation for the District to respond appropriately as public space violates the city’s own rules. Nearly all of our reservations and parks have woefully overgrown grass this season. After contacting the city, it was discovered that the new Department of General Services is now in charge of the District’s grass cutting. It was also discovered that they have not taken any action to date because they are waiting for the grass cutting contract with the city to be finalized. As grass cutting season began on May 1st in 2011, one can only guess that the 2012 contract could soon be finalized and that our local reservations and parks may soon be maintained. However … one has to ask why contracts such as this one are not negotiated and signed at the start of the fiscal year. 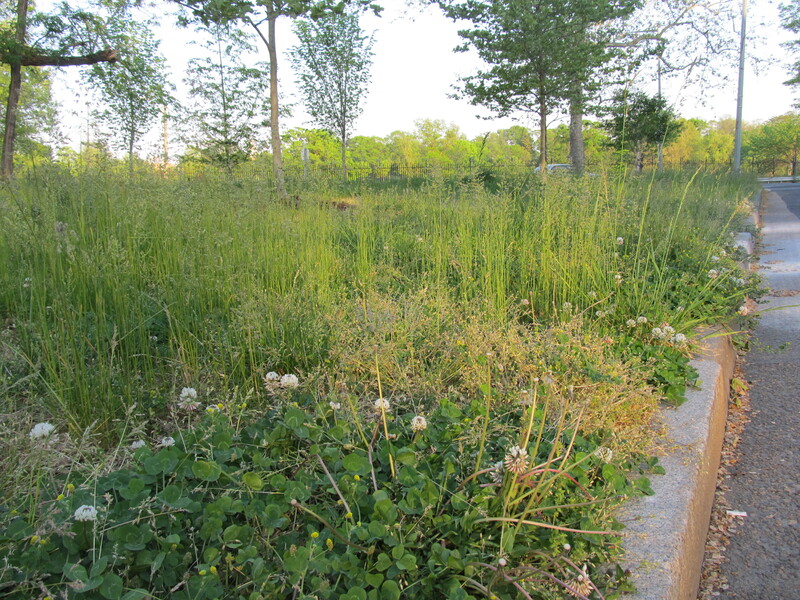 An early growing season like this year’s certainly shouldn’t create city-wide nuisance public properties.